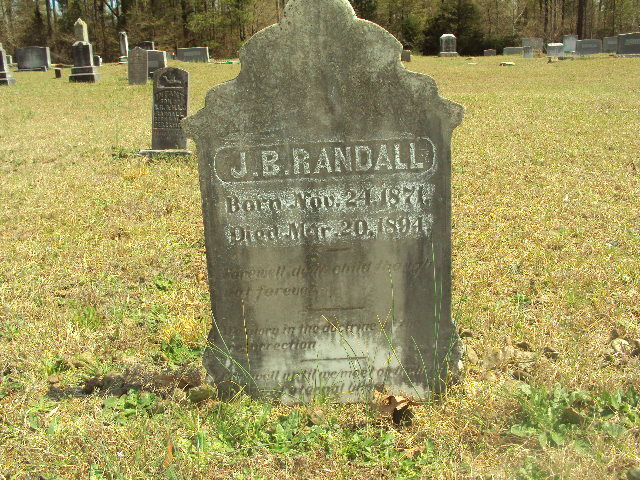 Son of Anderson Smith Randal and Sophia Mitchell, John B. Randall was born on Nov. 24, 1871, in Franklin County, Georgia. While some have speculated that the middle initial stood for “Bull”, there is NO evidence what-so-ever to support this. In fact, it is more likely that the “B.” stood for Burrell; to honor one of Sophia's brothers, Burrell Mitchell. Even in Anderson Smith Randal's “Will”, he is listed as “John B. Randal”. John B. Randall appears on the 1880 U.S. Federal Census (at age 8) living with his mother (Sophia) and siblings. 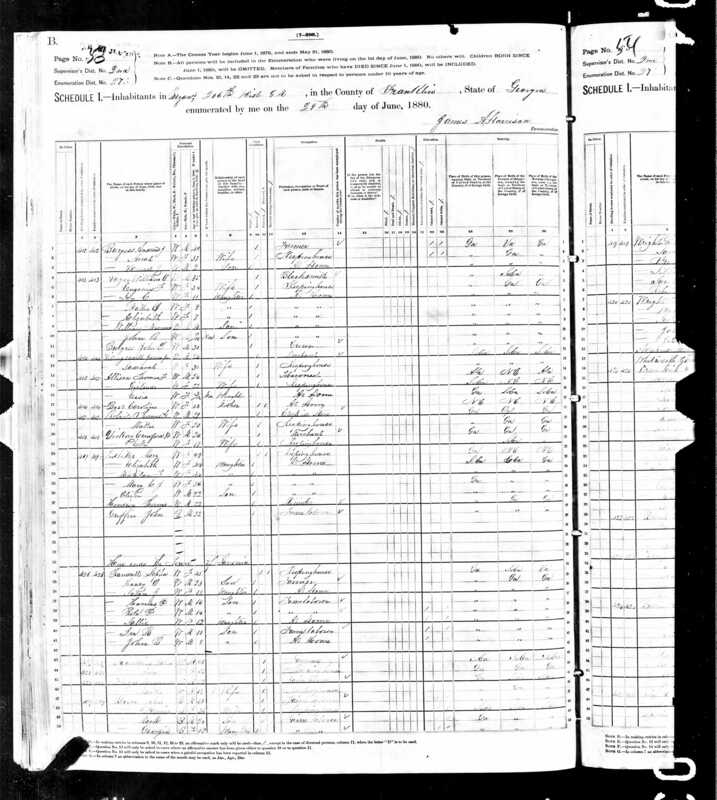 1880 U.S. Federal Census. Sophia Randal appears on line 34. Note: The census incorrectly lists Sophia's age as 45, when she was in fact 46 years old. In the census, Sophia indicates that her father was born in South Carolina and that her mother was born in Virginia. Farewell dear child, though not forever. Memory in the doctrine of the resurrection.